Whoa! The Rodeo City Rollergirls fought long and hard against these two teams! Thank you ladies for making the trip and playing with us. We appreciate you, our fans, YOUR fans, and all the volunteers that came over to make this happen! A good time was had by all! The final score for our first bout was CarnEvil 178 to Rodeo City’s Posse 123. The CarnEvil ladies voted Hula C Nation as the Posse’s MVP! And yes, for those fans keeping track, that is her second MVP award in a row! You just can’t get around those hula hips! 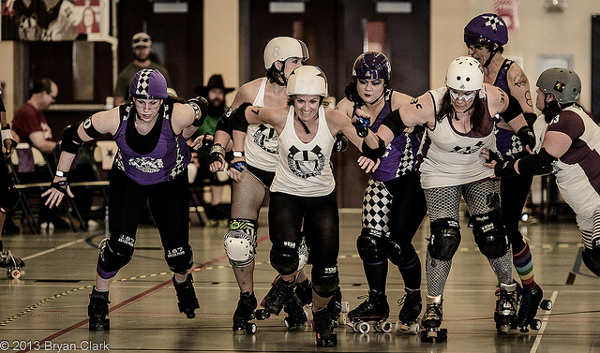 The final score for our second bout was RHDD 276 to Rodeo City’s Beauties 82. We are really proud of our Beauties, this was the first bout for a couple of those amazing ladies! RHDD voted Lucy Ball Buster as the Beauties’ MVP!